Weather and graffiti resistant Security Signs stand up to vandals and storms, while prominently displaying the important security policies of your business or organization. 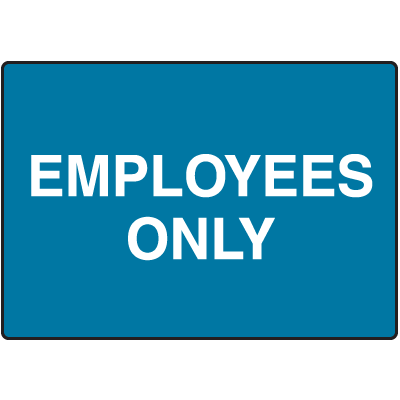 Security Signs are available for your shipping and truck areas. Security Signs are a deterrent against theft, vandalism and other nefarious activities. Security Signs are many, so make sure to peruse our selection and find the exact security sign that you need to meet your application's requirements. Choose from Notice This Gate Must Be Kept Locked Gate Directional Signs, No Admittance Ring Bell For Service, Danger No Trespassing No Admittance Signs, No Admittance Except To Employees On Duty Signs and plenty of others.